Halloween is a holiday usually associated with sweet treats, gruesome costumes and of course horror films- some good, some less so! Many people think that this tradition, which has become popular in the UK over the last 30 years, was exported straight from the United States. However, Halloween actually has its roots in Celtic tradition. Celtic culture usually leads us to think of Ireland and Scotland, but in reality it extends as far as the regions of Galicia in Spain and Brittany in France. 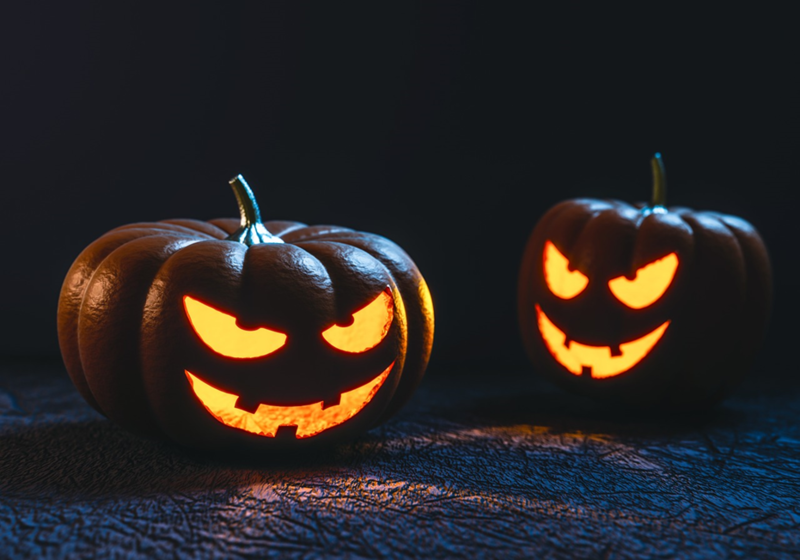 Read on to discover how the celebration of Halloween has hidden cultural ties to the Celtic regions of north-western Europe. Although the word itself is derived from the English ‘All Hallows’ Eve’, Halloween originally dates back to Samhain, an Irish Gaelic word which is pronounced ‘Sow-in’. Samhain was a festival that was celebrated by ancient Celtic people. The event marked the end of the harvest season and the beginning of the dark season, winter. Replaced by the word ‘Halloween’ during the 19th century, Samhain was mainly celebrated in Ireland, Scotland and on the Isle of Man. It’s unsurprising, therefore, to learn that it has appeared in similar forms in other regions which have a strong Celtic influence, most notably in Wales (where it is known as Calan Galaef), in Cornwall (Kalan Gwav) and in Brittany (Kalan Goañv). As well as marking the beginning of winter, Samhain was also considered as the first month of the year in the Celtic calendar and is therefore widely regarded as the Celtic New Year. This may explain why it’s still such a big cause for celebration in traditionally Celtic regions and particularly in Derry, Northern Ireland, where the annual Banks of the Foyle Halloween Carnival is known as the biggest Halloween carnival in Europe. Every year, over 30,000 costumed revellers flock to the historic city centre to see the procession of live music, street performances and spooky costumes and to watch the famous firework display over the River Foyle. The theme of this year’s festival is ‘Under The Samhain Moon’, showing the city’s strong connections to the traditions of its Celtic ancestors. Aside from the costumes and pageantry, the most recognisable symbol of Halloween undoubtedly remains the jack-o-lantern, a pumpkin which has been hollowed out and carved into a gruesome face before being used as a lantern. The use of a pumpkin is the only truly American influence on the modern version of Halloween. In the olden days, another vegetable was used: the turnip! The tradition of making jack-o-lanterns is linked to the 17th century myth of Jack The Smith, an Irish blacksmith. Legend has it that he invited the devil for a drink, but then proceeded to play tricks on him. When Jack died, the devil got his revenge and Jack was refused access to both heaven and hell. He was condemned to wander in the dark between the worlds of good and evil for ever more and is said to reappear every year on the day of his death- Halloween- with nothing but a burning ember inside a hollowed turnip to light his way. Whether you have Celtic origins or not, why not don a costume, carve a jack-o-lantern and get your fill of sweet treats this year? In advance of the 31st October, we wish you Deiz an Anaon laouen , Oíche Shamhna Shona Daoibh and Oidhche Shamhna Mhath – Happy Halloween!